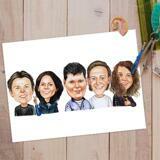 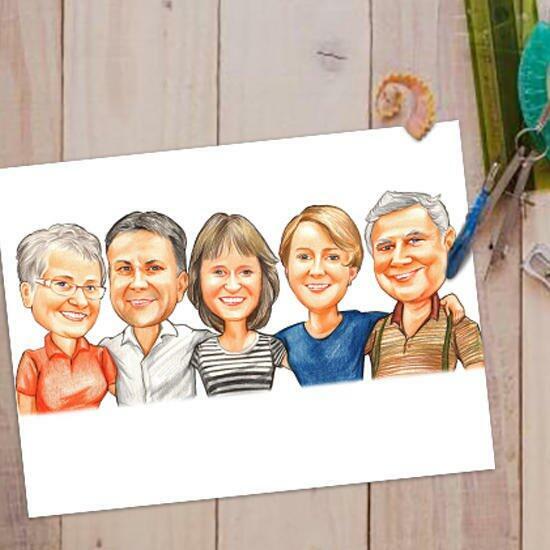 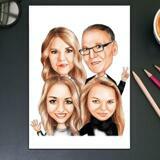 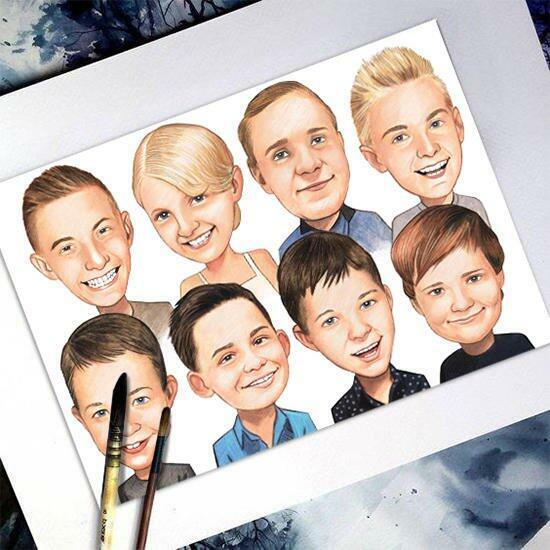 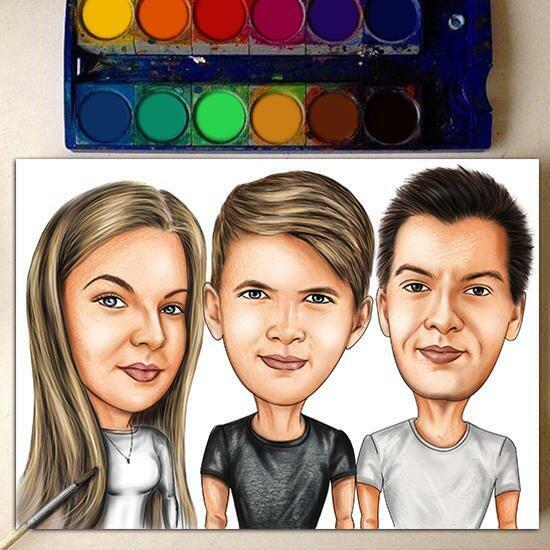 Get a unique custom-made cartoon drawing of group, which will be drawn in colored pencils style from regular photographs. 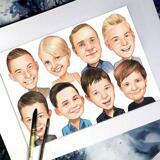 Cartoon will be drawn on paper of A4 or A3 size, which will be delivered as a ready-to-be-framed picture by post. With such a funny cartoon drawing, you can make an incredible gift for your family members or friends on any occasion. 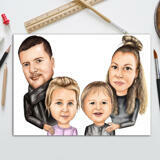 Cartoon Drawing will be delivered within 20 days by post. 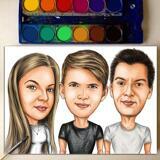 Original cartoon drawing can be shipped worldwide.